New BSopt tool project available! 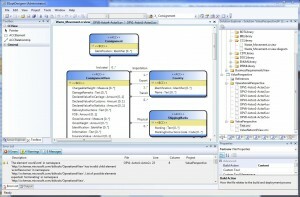 The BSopt Designer is a graphical modeling tool supporting the BSopt (Business Semantics on top of Process Technology) methodology. It offers an integrated guidance approach starting from business models over business process models down to executable deployment artifacts for a SOA (service-oriented architecture). It has recently been published as an open-source project and is hosted on Google Code. The project website acts as a central information repository where you can find current information about the BSopt modeling tool. For more information visit the BSopt Designer website. When debugging an isolated shell be aware of the debugging configuration of your shell project. The default configuration do not allow to load managed packages (only native symbols are loaded). 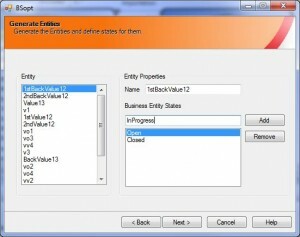 To enable debugging the configuration has to be changed to “Mixed” (instead of “Auto”) . This should solve the issue! 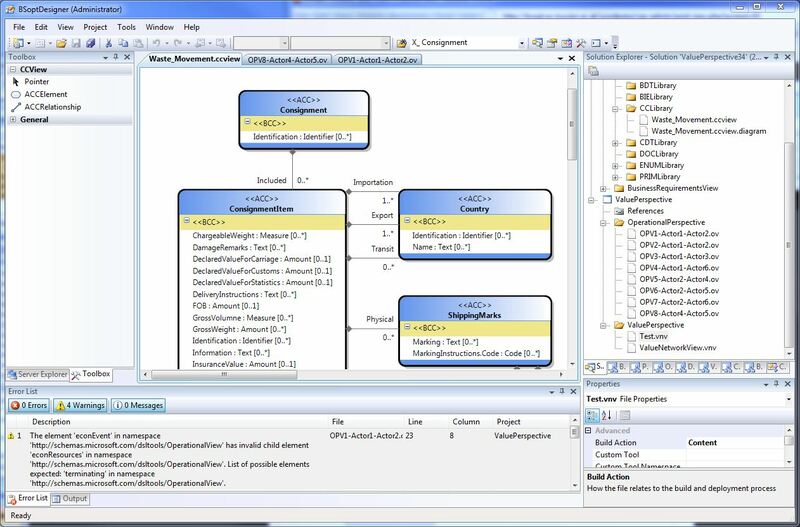 In order to create our BSopt Designer we decided to build upon the Microsoft Visual Studio 2008 Isolated Shell and integrated wizards. The Isolated Shell represents the core of the Visual Studio IDE and can be extended with various packages to add additional functionality and features. It can then be distributed as a stand-alone application. The user only has to install the application as well as the Visual Studio 2008 Shell (isolated mode) with Service Pack 1 Redistributable Package. The 132 MB big Redistributable Package can be downloaded for free from the Microsoft homepage and includes the core functionality of the IDE. The BSopt Designer itself can be installed with a simple Windows Installer and includes all the additional features for the BSopt approach. These features include various model Languages (Domain Specific Languages - DSL) and several wizards helping the user to create his models. A big advantage of the Isolated Shell approach is, that we do not have to implement basic features like adding new files or copy/paste functionality and that we do not have to install each DSL separately. They are all included in the installation package. These wizards help the user to generate models out of the related parent models and serve as a basis for refining them. As for the development of the Wizards we used a powerful wizard framework for .Net 2.0 called WizardControl. A great tutorial showing how to extend an Isolated Shell with DSLs and custom commands can be found at Christian Baekdorf’s Blog.